Radio, television and the press form the vast stage on which the public dramas of our time are played to a responsive audience of millions- the peoples of our nation and of the world. Almost anyone can steal the scene and become a public hero, a favorite villain or a lamented victim. How do these persons-the symbolic leaders-emerge? Who are they? How does the climate of public opinion affect the would-be leader? How does the public use its leaders?This book discusses how symbolic leaders emerge, how unknown people become symbolic and it analyzes the kinds of encounters that are likely to make individuals either ""heroes,"" ""villains,"" or ""fools."" The book portrays the ups-and-downs of public images, as well as crises and role reversals, in which parties may swap roles without meaning to. 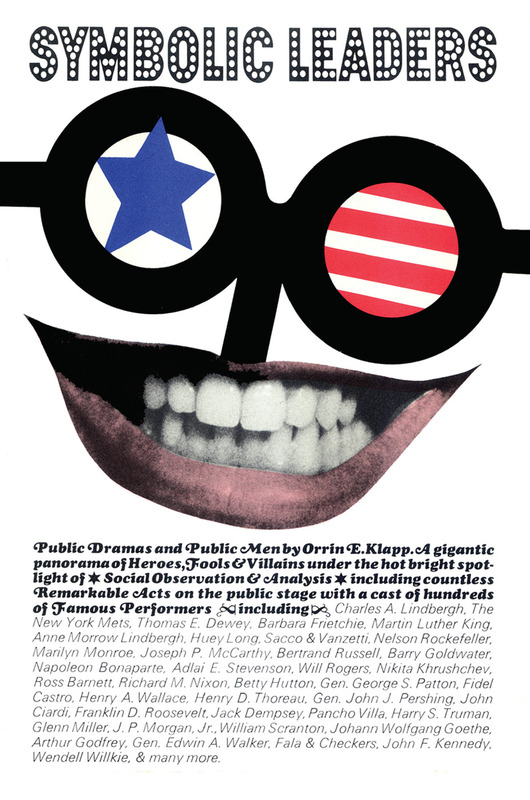 The book concludes with a final chapter, which deals with the concept of public drama and its implications for change as well as its instability in modern society.Symbolic Leaders is a probing and provocative analysis of the process of public drama and of the actors, who play the leading roles, discussed in terms of their significance for the structures of our rapidly changing society and illustrated by vivid case histories. Professor Klapp's lively style makes this work an eminently readable sociological study. The social scientist will find in it a challenging and original theory of social organization, which suggests strategic areas for further research. Public relations personnel will find it an invaluable practical handbook of clues for creating a public image. And the general reader will find Symbolic Leaders a fascinating and thought-provoking commentary on public life in our society.